Sometimes we travel to discover the world, sometimes to discover ourselves. And sometimes, to discover something that changes our outlook for a minute, making us look in a different way at the fantastico things that be. This was when I was 12. We, our little family that is, were visiting a bit of South India then, for the first time in ever and naturally, we were pretty excited. Our major stay was to be in Ooty with some trips now and then around the places near it. It also included a one day trip to Kanyakumari. But this, my dear reader, is not a travelogue of that journey. Although, when I come to think of it, I must follow this post with a travelogue soon enough and I will. But right here, it is about those little discoveries you make when you travel. These days, travelling has become more about going long distances and visiting exotic places and covering as much number of tourist spots you can manage within a given time frame. But back then, when we used to travel, it was more for the pleasure than for the fun. And there is a difference people, mind it. When you are travelling, there are moments where you sort of stop, come to a still and try to take in everything that a particular place has to offer. You give it the time it needs and it’s no longer about the next place you have to visit but about the one you are in right then. If you pay attention to that place, you may find that thing you have been looking for in all your wanderings. Coming back to the tale of navigation, it hadn’t really been an ideal beginning for me. Halfway on our trip to Ooty, I had caught eye-flu. And it was a rather bad case at that, something I should not mention in a moodful setting of a story but had to because I needed to justify how badly I needed to wear sunglasses every time we traveled. Again, these sunglasses were not something you go and buy from those uber-cool stores for hundreds and thousands of rupees but just a peppy roadside 30 rupee thing. I used to wear them all the time, as my doctor had instructed, and protected my eyes from bad lights and water. It was probably the fifth day of our visit when I accidentally broke the part of it that went on my ears. It was a lovely evening and we were at the Doddabetta Peak in Ooty. It was such an enchanting place with so much greenery and the valleys surrounding it that I took my sunglasses down and really looked at the beauty around me. The sun had pretty much calmed down by now and so my parents didn’t mind my doing so. Besides, we all were in so much love with the place that we had unanimously decided to stay there for the entire evening and cancelled all our shopping plans. We took some cool photographs there, played around, looked at the birds, the calmness and then the crowd. Finally returning to our taxi, towards the exit we found a similar roadside shop selling sunglasses. My parents asked me to go and buy one for the other day and me and my aunt went together there. I asked the guy for the glasses I liked, enquired about the price and finally settled to buy them. 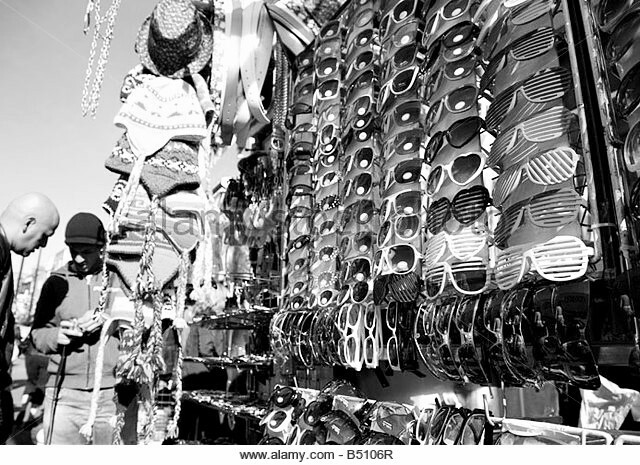 Then as I put my hands into my pocket, his eyes went to the broken sunglasses I already had. He didn’t know Hindi but enquired me in directions as to why I needed another glasses. I showed him that it was broken and he pointed out that it was just missing a screw. Then he took my glasses from me, mending them, trying to find the appropriate screw. My parents were back in the taxi by now and were calling us to hurry. Now here was a totally ironic situation. We were asking the guy to just sell us the new glasses and that it was fine. But he wanted to repair my old one, not caring to sell a new piece and make some money for himself. Finally, he did find the right screw and mended my glasses perfectly. I asked him what I needed to pay him and he refused to take any money. I insisted and he insisted even firmly. No points for guessing, I came back paying him in just my sincerest gratitude and good wishes. This particular thing, among many others that I would write in a detailed travelogue soon, was one that had a deep impact on me and made that first visit to South India one of my favourites. I also learnt that we think we travel to know places, but in reality, we do that to know people. So true…Such a wonderful post.Thanks for sharing! “we think we travel to know places, but in reality, we do that to know people.” This stole the show.